I’ve used A LOT of cooling bandanas over the years. As a runner and generally active person, I’ve found the comfort in cooling products like bandanas and towels to be super effective in cooling me down and keeping me going. Always keen on sharing my experiences and knowledge, I have put together my list of the TOP 15 Best Cooling Bandanas for the whole family, as well as tips and tricks to help you find what’s best for you. Learn the technologies behind cooling bandanas, what to look for when buying, and how to identify what works best. How Do Cooling Bandanas, Scarves, and Neck Coolers Work? While no professional runner or athlete, I like to get out every day and get my body going. This more generally leads to an extremely warm work out session involving a lot of sweating and maybe even feeling overheated. So, I began looking at ways to keep cool and found a cooling neck wrap to be effective. By simply wetting or cooling it, I can easily keep on running, working, or whatever I need to do. What I truly love is the versatility of using the cooling products. My kids love to wear a neck scarf or neck wrap when playing since kids like to accessorize everything. I have even found a couple of cooling hoodies that I really enjoy during hot summer days to keep me cool and block the sun. Even our little Sam Dog has found a use for his own cooling scarf for dogs. The trick with cooling bandanas, hoodies, and the like lie within the realm of science. These cooling products contain a special layer of material with nontoxic polyacrylamide granules or a similar material. This material is made of a special compound that expands when wet, allowing it to hold water and cold in longer, then slowly evaporate over time. To complete your cooling experience, cooling neck wraps, bandanas and other products are often made from materials that help absorb your sweat while allowing for the water evaporation to keep you cool. Let’s get right to the heart of things and look at how to find the cooling product that works for you. There are several factors that I’ve found to be most important when choosing a cooling bandana, hoodie, or scarf. That isn’t to say there are other factors that I hadn’t thought of. Feel free to let me know what you look for in a cooling product in the comments section. I’m eager to know. Cooling bandanas look like regular bandanas and can be worn around the head, neck, or wherever you would normally wrap a bandana. Cooling scarves are larger than bandanas and are intended to be worn around the neck in a similar fashion as a scarf. Cool neck wraps and neck coolers are usually larger and thicker to cover the entire neck area to be used for long periods of time. Cooling hoodies cover your entire head and sometimes shoulders to cool you and block out possibly harmful sun rays. 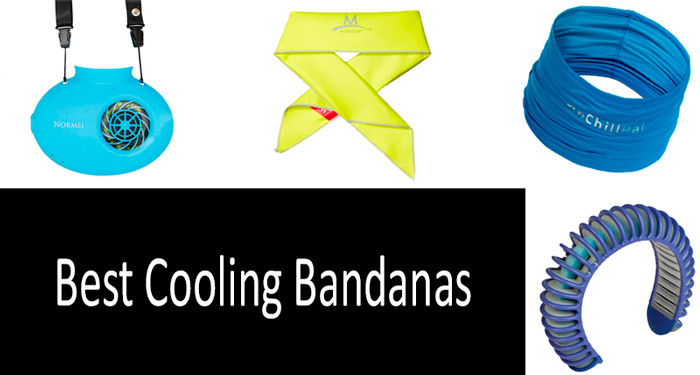 When it comes to cooling off with a cooling neck wrap or bandana, there are three types of cooling methods to choose from. Each one has its pros and cons, but they all work well to cool you off. The most common type of cooling bandana you’re going to find is the soaking style. With this type of cooling product, you will need to soak it in water for a certain amount of time. This can vary from minutes to hours depending on the size and style of the cooling product. Often, you can rewet your product multiple times throughout the day to stay cool. With this variety of cooling bandana, you will need to wet them and set them in the freezer for a period of time. The freezing simply allows the gel to get as cold as possible and retain as much of that cold and moisture as possible. In some cases, you can freeze soaking cooling products for an added effect. This will take longer and is primarily used to start a hot day off right. Ventilation cooling products are different than others in this category. 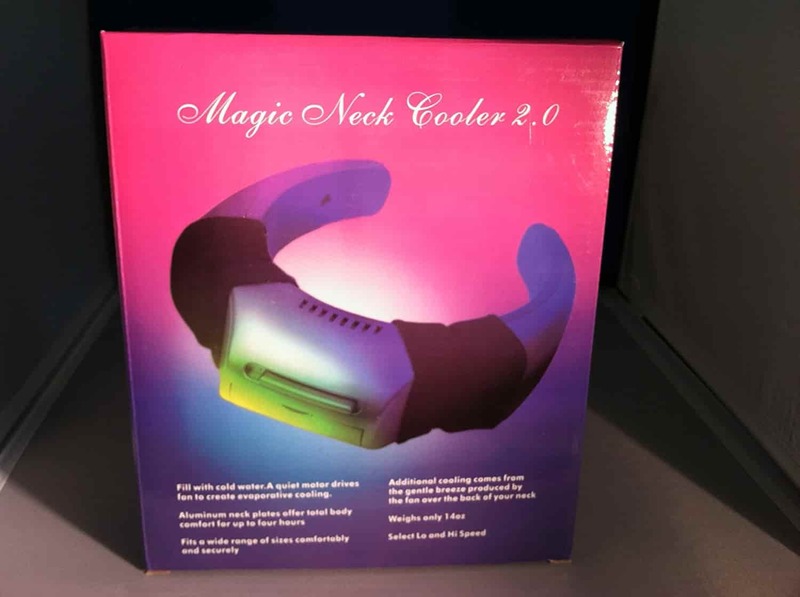 While they do require water to help stay cool, they are not soaked or frozen, Instead, these neck coolers are electric devices that have to be charged prior to use. Using water, they vent out cool air using a motor. Ventilation style cooling products are great when you’re out golfing or performing some other relaxing activity. Cooling bandanas and products come in such a wide variety of colors and patterns that I couldn’t possibly list them all here. Recently, the growing popularity of these cooling products has led some to use them as fashion accessories in their daily lives. Simply run the Ergodyne Chill-Its under water for one-minute and wear it for an instant cooling effect. 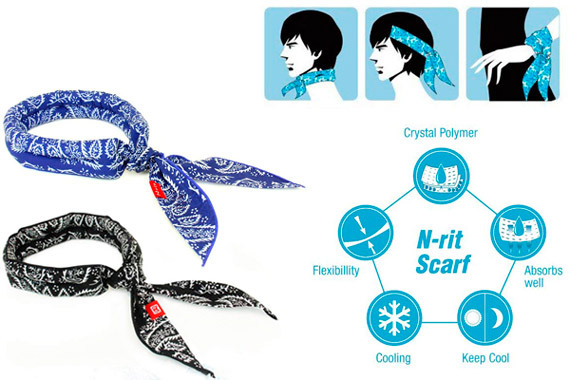 The 6700 CT doesn’t contain the cooling beads but instead uses a microfiber towel inside the bandana. This gives the 6700CT a much lighter feel than other cooling products and allows for a slower evaporation time, which means more cooling time. This is best used with sports and high-energy activities as it can be worn during these activities. Simply soak the Cooling Scarf in water for about five minutes to activate crystals. Then wring it out and tie it wherever you need to be cooled. It’s more suited to dry climates than humid ones. This is best used with sports and high-energy activities as it can be worn during these activities. 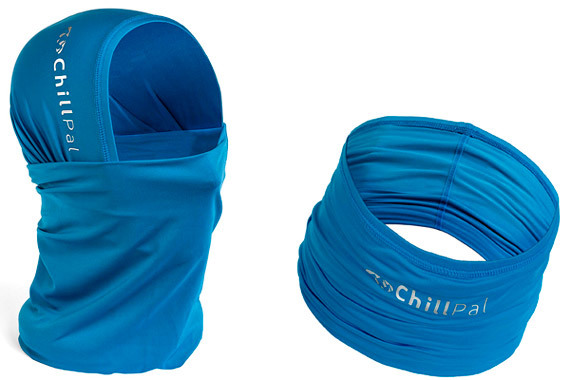 A cooling towel type of cooling neck wrap, the Cooling Band has many versatile uses. It can be scrunched up to cover small areas or expanded for necks and face. This is best used during breaks or outdoor activities as it covers larger areas. This is the cooling bandana I recommend to my friends on work sites. As it is a cooling towel, it doesn’t have excess dripping that can sometimes come with gel cooling bandanas. It comes in bright yellow to help you to be seen. This is best used with sports and outdoor work as it can be worn during these activities. 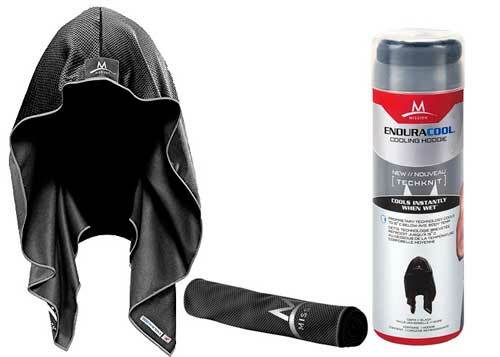 This cooling hoodie is designed to be worn over the head and shoulders. It works just easily as other cooling products and can be reactivated with a simple wetting and snapping. 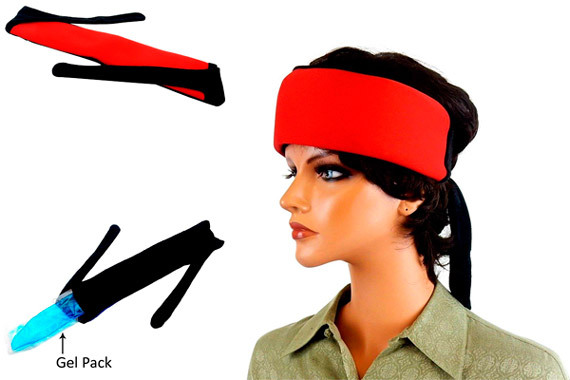 This is best used during sports breaks or while working as it covers large portions of your head. Using a special design similar to ventilated cooling products, this cooling band can keep you cool while absorbing your sweat. While it is a larger design than traditional cooling bandanas, you simply wet it and slip it around your neck to feel cool for a couple of hours. This is best used during less active hobbies and outdoor activities due to its bulkier size. 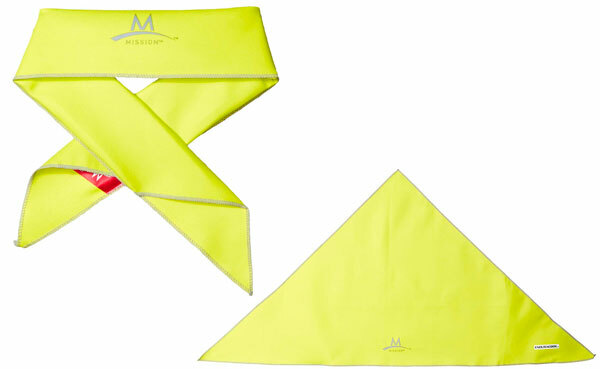 This Ice Bandana features a neoprene insert that you freeze and place inside the bandana. The bandana is large enough to be worn as a scarf or wrap in some cases. This is best used with sports and high-energy activities as it can be worn during these activities. This cooling head and neck wrap contains an insert that must be frozen and inserted into the wrap. Approximately 40 inches long, this is a good size for multiple uses. This is best used with sports and high-energy activities as it can be worn during these activities. The Cryoscarf is a freezing type of cooling product that is intended to be used around the neck or forehead during breaks or downtime. For added convenience, the Cryoscarf comes with a Velcro closing mechanism instead of a tie-down style. This is best used in between games or activities as it covers a larger area. The CCX is a cooling collar that contains gel inserts that you freeze. 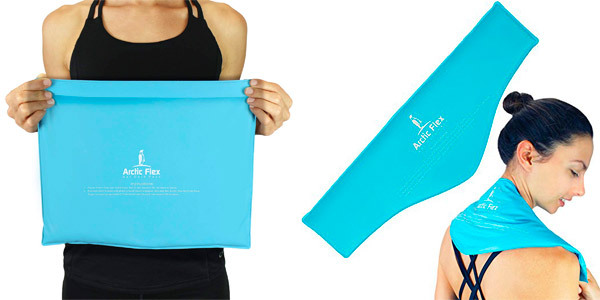 These inserts are used with a specially designed wrap that helps to maintain a cool temperature. 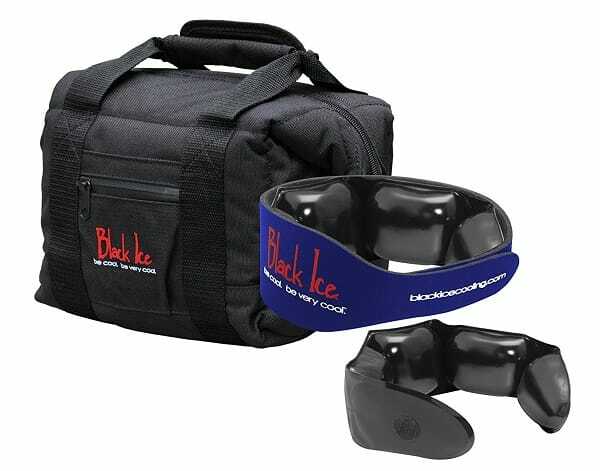 Intended to be used around the neck with inserts at the back of the neck, this is best used in between activities and games as it can feel bulky. This large neck wrap is designed to be worn over the shoulders. The contour design helps it lie perfectly on your shoulders and apply the cooling relief where it’s needed. This is best used during relaxation times or after high-energy activities. This ventilation cooling product uses water and a specially designed system of fans and sponges to help you stay cool over time. It has to be charged and filled with water before use. This is best used during relaxing hobbies and outdoor activities due to a larger size. This electric cooling system is designed to be worn around the neck. It provides cooling and heat relief without using water. Multiple modes for more temperature options. This is best used during relaxing and less strenuous activities. 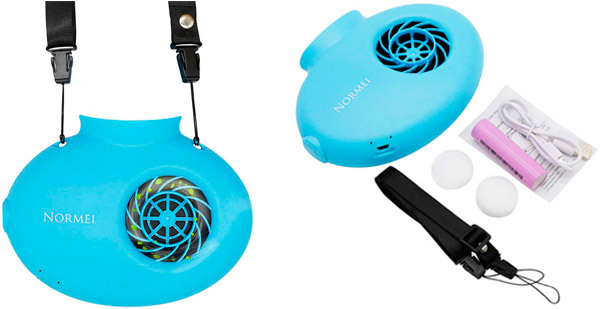 The Normei Necklace Fan is a portable fan that you can wear around the neck. 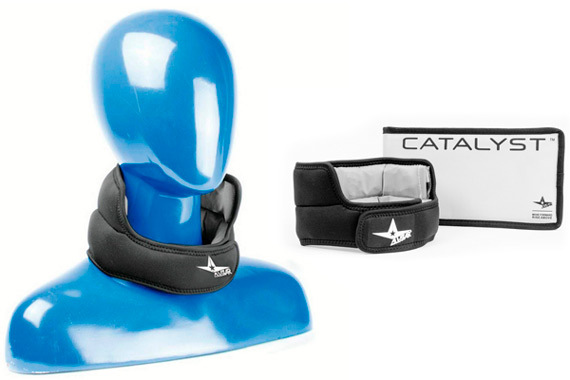 The hands-free device is small and light and will not add discomfort during use. 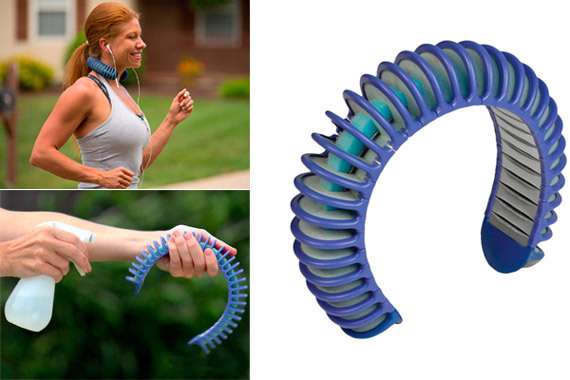 This cooling system is designed to be used while relaxing or doing less strenuous activities as it loosely hangs around your neck. 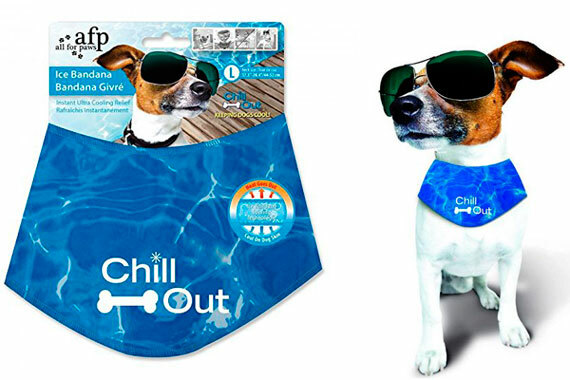 This is the best cooling bandana geared toward dogs that I have used. 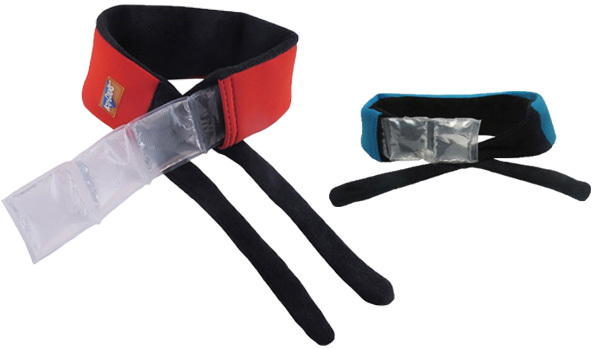 It is designed to be worn around your dog’s neck or back, depending on the size of your pooch. Freeze or refrigerate to cool and wrap it around your dog. This is best used for your dog during most activities. Always watch for chewing and signs of damage to protect your pets. How do you use a cooling bandana? The exact instructions can vary from product to product. For some, you simply wet and apply. Others can require freezing or charging via USB. How long does a cooling bandana stay cool? You can usually get about an hour up to four hours of cooling from one bandana. This can vary from product to product, though. Where and when can I use a cooling neck wrap and cooling bandanas? Cooling products like this have many uses. Commonly, athletes or those who work outdoors use them. Other uses including biking, hot flashes, sailing, and other outdoor activities. How do cooling bandanas work for dogs? Can I actually use a cooling bandana on dogs? Yes, cooling bandanas and products can be used on dogs. It is recommended to use a product specially designed for dogs to ensure nothing is toxic to them. Watch for chewing and rough play while using these products on animals. How long do cooling bandanas last? What is an average lifetime of a cooling bandana? The exact durability of the products will depend heavily on the type of system it is. For actual cooling bandanas and other fabrics that soak and freeze, you can get months of use. Electric ones can last much longer. Just like anything in life, there are ups and downs to using these cooling systems. As the general pros and cons depend heavily on the cooling system, I have split this section up. You will get wet. It may not be the same as placing a normal wet towel on your head, but whenever water is involved, there is likely to be some dripping. This isn’t as bad during high activity sports where you sweat anyway, but it can be a bit annoying. Ice is cold. Colder than just some cold water, and while most cooling products that use freezing do work well and aren’t applied directly to the skin, this extra cold can be a bit overwhelming at first. Generally, these personal cooling systems are less effective than their soaked or frozen counterparts. The added need for electricity makes these unsuitable for extended outdoor activities like hiking and camping or sporting activities. Over the years, I have found a number of tips and tricks that can make using a cooling product much more enjoyable. If you have other tips, feel free to share them with everyone in the comment section. Wring out excess water well as it isn’t needed for the product to work. Freeze your cooling bandana overnight to last longer the next day. If you have more than one insert, freeze one while using another. For freezing products, it can help to fit and shape them before freezing. Electric personal cooling systems can be easily recharged almost anywhere. Deciding which product is best for you depends on a number of factors. I have spoken about what I feel is the most important based on the intended uses. If you have more information to add, let us know in the comment section below.